Dante began fencing in 2001 in the Barony of Caer Mear, Atlantia. He was made the premier of Atlantia’s Order of the Sea Dragon in 2004, and played his Free Scholar’s prize shortly thereafter. 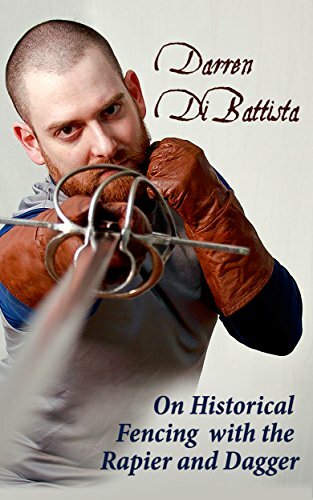 He began studying historical rapier in 2005 with the publication of Leoni’s Fabris translation, and ultimately settled on Capoferro’s Gran Simulacro as his focal point. Dante has since been recognized as a White Scarf, Sea Stag, and ultimately as a Laurel. 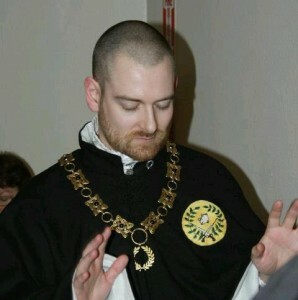 He moved to the Barony of Stierbach in 2008 and continues to teach historical Italian rapier while acting as the Society Minister of Historic Combat Studies to this day. Yes, Dante would like to fight, or talk about fighting, with you.